The Legend of Zelda: Breath of the Wild (game, 2017). An action-adventure video game by Nintendo. Developed by Nintendo EPD. Official Trailer. The Legend of Zelda: Breath of the Wild is an action-adventure video game by Nintendo, developed by Nintendo EPD. 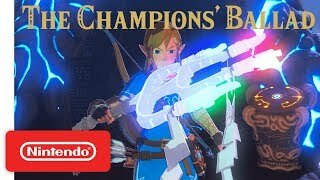 The Legend of Zelda: Breath of the Wild - Expansion Pass: DLC Pack 2 The Champions' Ballad Trailer. 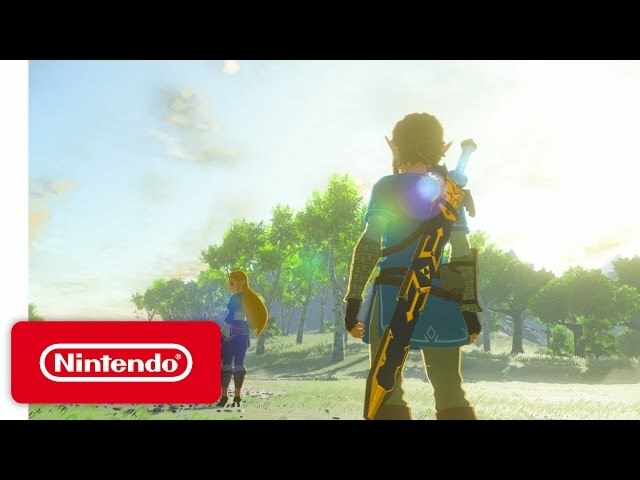 Breath of the Wild takes place at the end of the Zelda timeline in the kingdom of Hyrule. When the evil Calamity Ganon threatens Hyrule, he is defeated by Princess Zelda, descendant of the Goddess Hylia, with the help of her knight, Link. Hyrule matured into an advanced civilization, protected by four Divine Beasts - enormous animalistic machines - and an army of Guardians, autonomous weapons. Upon Ganon's return, four great warriors were given the title of Champion and piloted one of the Divine Beasts to weaken him, protected by Zelda, Link, and the Guardians. Link struck Ganon down with the Master Sword, allowing Zelda to seal Ganon away. 10,000 years later, the kingdom of Hyrule regressed to a medieval state. Reading their ancestors' prophecies, the Hyrulians recognized the signs of Ganon's return and excavated the Divine Beasts and Guardians. 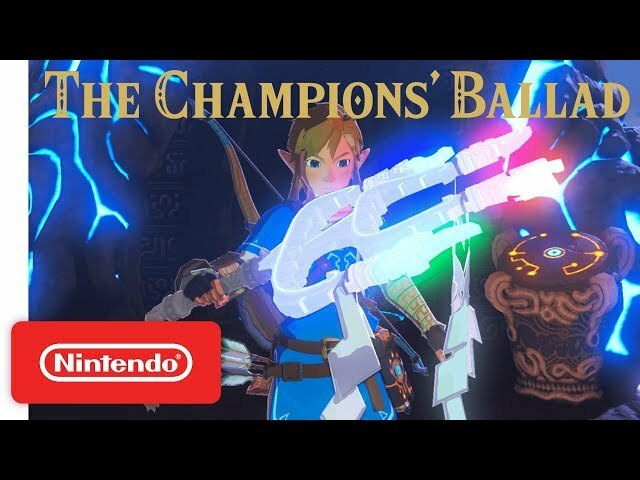 The champions of Hyrule's races - Daruk, warrior of the mountainous Goron; Mipha, princess of the aquatic Zora; Revali, archer of the birdlike Rito; and Urbosa, chief of the desert-dwelling Gerudo - assembled to pilot the Divine Beasts, while Zelda and Link battled Ganon. However, Ganon possessed the Guardians and Divine Beasts, turning them against Hyrule. King Rhoam and the Champions were killed, the castle town was destroyed, and Link was gravely wounded. Zelda took Link to safety, hid the Master Sword, and used her magic to trap Ganon in Hyrule Castle. 100 years later, an amnesiac Link awakens in Hyrule. He meets an old man, who reveals himself as the spirit of King Rhoam. 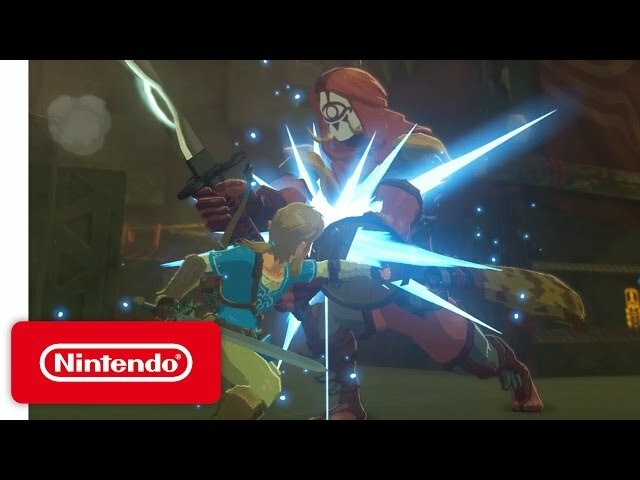 Rhoam explains that Ganon, sealed in Hyrule Castle, has grown strong; he pleads for Link to defeat Ganon before he breaks free and destroys the world. In a departure from previous Legend of Zelda games, Breath of the Wild features a full open world, twelve times larger than the overworld in Twilight Princess, with less emphasis on defined entrances and exits to areas. Similar to the original Legend of Zelda, the player begins with little instruction, and is allowed to explore freely at their own pace. Breath of the Wild introduces a physics engine to the Zelda series with consistent rules, but also lets players approach problems in different ways rather than trying to find a prescribed solution. The game also integrates a "chemistry engine", which defines the physical properties of most objects and governs how they interact with the player and one another. These design approaches result in a generally unstructured and interactive world that rewards experimentation and allows for completing the story non-linearly. The Legend of Zelda: Breath of the Wild was scheduled to be released by Nintendo on March 3, 2017. This video game is available for the following platforms: Nintendo Switch, Wii U.